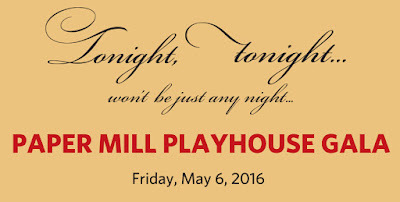 (Millburn, NJ) Paper Mill Playhouse (Mark S. Hoebee-Producing Artistic Director, Todd Schmidt-Managing Director) is hosting its largest fundraising event of the year, the Paper Mill Playhouse Gala on Friday, May 6, at the renowned Hilton Short Hills. The reception and silent auction begin at 6:00pm followed by dinner and dancing featuring The Eddie Bruce Band. The Paper Mill Playhouse Gala will feature performances from cast members of Paper Mill Playhouse’s production of A Bronx Tale: The Musical and West Side Story. In addition, students from Paper Mill’s education programs will be featured with a special performance from star of NBC’s The Wiz Live, Shanice Williams. The gala is proudly sponsored by Investors Bank, Hilton Short Hills, Jerry Rose Floral and Event Design and Dior. For more information on the Paper Mill Playhouse Gala or to purchase individual tickets, tables or raffle tickets, please contact Leigh Schaedel at 973-315-1663, lschadel@papermill.org or visit Paper Mill Playhouse’s website, www.papermill.org. Paper Mill Playhouse is a not-for-profit arts organization that relies on philanthropic support to make its breathtaking productions, professional training programs, celebrated arts education and outreach possible. All proceeds from the gala support these programs. 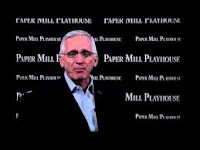 “Nearly 350 of our theater’s community of influential business executives, civic leaders, discerning consumers and tastemakers will gather together for an evening that reflects the heart, artistry and vitality of Paper Mill Playhouse,” stated Mark S. Hoebee, Paper Mill Playhouse’s Producing Artistic Director. “We are excited to honor the creative team behind Paper Mill Playhouse’s hit musical A Bronx Tale. Bringing together the best creative minds to create something new is core to Paper Mill Playhouse’s mission. We hope you will join us in celebrating the work of Robert De Niro, Alan Menken, Chazz Palminteri, Glenn Slater, Sergio Trujillo and Jerry Zaks. Governor Brendan T. Byrne will be presented with a lifetime achievement award for his long standing commitment to Paper Mill Playhouse and the arts in New Jersey. He was a 1949 graduate of Princeton University and received a law degree from Harvard University. 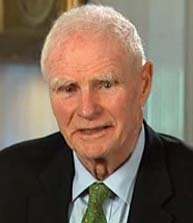 Byrne served in the U.S. Air Force during World War II, receiving the Distinguished Flying Cross and four Air Medals. He was assistant counsel (1955) and executive secretary to the New Jersey governor (1956 to 1958), deputy attorney general (1958 to 1959), and Essex County prosecutor (1959 to 1968). From 1968 to 1970, he was president of the state Board of Public Utilities Commissioners. From 1970 until resigning in 1973 to run for the governor's office, Byrne was a superior court judge. Byrne became governor in January 1974 and he was reelected in 1977. He was a delegate to the Democratic National Convention in 1980. He chaired the Mid-Atlantic Governors' Conference from 1975 to 1976, the Coalition of Northeastern Governors from 1978 to 1979. He also chaired the Democratic Governors' Conference. The Lifetime Achievement Award will be presented by former Governor Thomas H. Kean. The creative team behind A Bronx Tale: The Musical will be presented with the Frank Carrington Excellence in the Arts Award. A Bronx Tale: The Musical at Paper Mill Playhouse broke box office records earlier this season and was a favorite with audiences and critics alike. directed and starred in many iconic films. Mr. De Niro won the 1974 Academy Award for best supporting actor for his role in The Godfather: Part II and the 1980 Academy Award for best actor for his role in Raging Bull. Mr. De Niro received Academy Award nominations for Taxi Driver, The Deer Hunter,Awakenings, Cape Fear and Silver Linings Playbook. Mr. De Niro is a four-time New York Film Critics Circle Award winner for his work on Taxi Driver, Raging Bull, Goodfellas and Awakenings. In addition to winning the 1981 Golden Globe award for his work on Raging Bull and winning the 2011 Cecil B. DeMille Award, Mr. De Niro was nominated for a total of seven Golden Globe Awards. 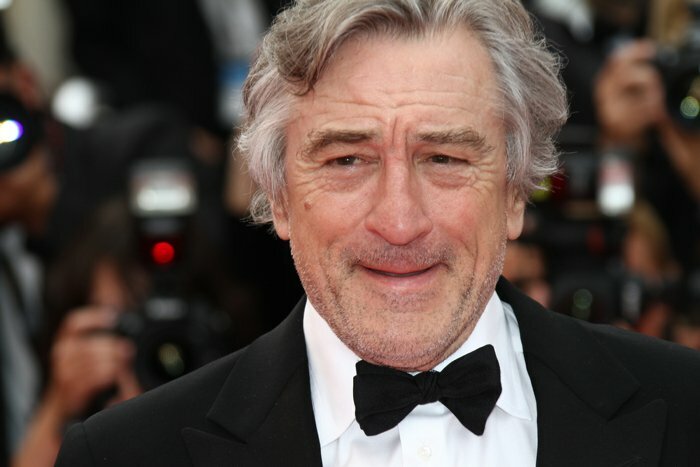 Mr. De Niro was nominated for six British Academy of Film and Television Arts Awards. Mr. De Niro starred in many other films including Mean Streets, Bang the Drum, Analyze That, Meet the Fockers and more. Mr. De Niro made his Broadway debut in the 1986 play Cuba & His Teddy Bear. Mr. De Niro founded his own production company, Tribeca Film Center, and made his directorial debut in 1993 with A Bronx Tale. Jerry Zaks (Director) won four Tony Awards, four Drama Desk Awards, two Outer Critics Circle Awards and an Obie Award. Mr. Zaks directed many Broadway shows including Sister Act, The Addams Family, Guys and Dolls, Six Degrees of Separation, Lend Me a Tenor, House of Blue Leaves, Smokey Joe’s Cafe, Anything Goes, La Cage aux Folles, Little Shop of Horrors and more. Mr. Zaks received SDC’s Mr. Abbott Award for lifetime achievement and an honorary doctorate of fine arts from his alma mater, Dartmouth College. Mr. Zaks is a 2013 inductee to the Theater Hall of Fame. Sergio Trujillo (Choreographer) is a four-time Drama Desk Award nominee who choreographed the Broadway productions of On Your Feet!, Memphis, Jersey Boys, Leap of Faith, The Addams Family, Next to Normal, Guys and Dolls and more. Mr. Trujillo choreographed off-Broadway productions of Invisible Thread, Saved, The Capeman, Romeo and Juliet, A Tree Grows in Brooklyn and Kismet. Chazz Palminteri (Book) wrote and performed his one-man show A Bronx Tale for the first time in 1989 before moving it off-Broadway. Mr. Palminteri went on to write the screenplay and co-star in the screen adaptation of A Bronx Tale alongside Robert De Niro. Mr. Palminteri has more than 55 movies to his credit as an actor, writer, and director, including The Usual Suspects, Bullets Over Broadway(Academy Award nomination), Analyze This, Hurlyburly, Mullholland Falls, Faithful (also written by Mr. Palminteri), A Guide to Recognizing Your Saints, Yonkers Joe, Jolene and most recently Legendstarring Tom Hardy. Mr. Palminteri had a recurring role on the hit show Modern Family and has starred in Blue Bloods. Mr. Palminteri directed the HBO series Oz (episode “Unnatural Disasters”), Showtime’sWomen vs Men, and the feature film Noel starring Susan Sarandon, Paul Walker, and Robin Williams. Alan Menken (Music) composed the stage and film musicals Little Shop of Horrors, Beauty and the Beast, The Little Mermaid, Newsies, Aladdin and The Hunchback of Notre Dame. Mr. Menken’s other stage musicals include God Bless You, Mr. Rosewater, The Apprenticeship of Duddy Kravitz, A Christmas Carol, Sister Act and Leap of Faith. Mr. Menken’s film musicals also include Life With Mikey, Pocahontas, Hercules, The Shaggy Dog, Enchanted, Tangled and Mirror, Mirror. Some of Mr. Menken’s television credits include Galavant, The Neighbors, Lincoln, Sesame Street and more. Mr. Menken won eight Oscar Awards, 11 Grammy Awards (including Song of the Year), seven Golden Globe Awards, a Tony Award, an Olivier Award, a New York Drama Critics Award, a London Evening Standard Theatre Award, induction into the Songwriters Hall of Fame and a star on the Hollywood Walk of Fame. Some of Mr. Menken’s other awards and honors include Billboard’s #1 single and album, Disney Legend, and honorary doctorates from NYU and the North Carolina School of the Arts. Glenn Slater (Lyrics) won the 2011 Grammy for his work co-creating Disney’s Tangled. Mr. Slater is a two-time Tony Award nominee who wrote the lyrics for School of Rock, Sister Act, The Little Mermaidand Leap of Faith on Broadway. Mr. Slater received an Olivier Award nomination for his work on Andrew Lloyd Webber’s Love Never Dies. The Eddie Bruce Band marries a smoking hot dance ensemble with concert quality vocalists and masterful musicians that drive the dance floor. For more than 25 years, The Eddie Bruce Band has been performing his unique repertoire of music that ranges from Top 40, R&B, disco and house music to swing and Sinatra. Eddie Bruce’s interest in music began when he was a child, and he has never wavered from this passion. He has blended his natural entrepreneurial skills with his love of music and created one of the most successful orchestras in the region and one of the best reputations as a much sought-after performer. A regular at Caesars Atlantic City, the Eddie Bruce Orchestra has also performed at Bally's Park Place, the Etess Arena of Trump Taj Mahal as well as such major events as the prestigious Grand Gala Opening of the Kimmel Center for the Performing Arts in Philadelphia. In addition to performances from cast members from A Bronx Tale: The Musical and West Side Story, students from Paper Mill Playhouse’s Arts Education programs will deliver a memorable performance during the celebration. The education and outreach programs of Paper Mill Playhouse serve nearly 40,000 young people and educators annually in all regions of the state through in-school residencies, training and arts recognition programs, as well as the Children's Theatre Series. For nearly 30 years, Paper Mill Playhouse has been helping students of all ages and skill levels develop their passion for performance and communication—qualities that are invaluable in every career, from Broadway to the boardroom. Education programs include Paper Mill Theatre School, Adopt-a-School Project, Rising Star Awards, Summer Musical Theatre Conservatory, August Musical Theatre Intensive, Paper Mill Playhouse Broadway Show Choir, guest artist master classes, professional development seminars and Theatre For Everyone classes. Joining Paper Mill Playhouse education students is Shanice Williams, an alum of Paper Mill’s Adopt-a-School Project, Summer Musical Theatre Conservatory, Rising Star Awards and Show Choir who recently starred as Dorothy in NBC’s The Wiz Live. For more than 75 years, Paper Mill Playhouse has been one of the nation’s leading not-for-profit theaters. Paper Mill continues to bring world-class artists and outstanding musicals and plays to the community while enriching the lives of nearly 40,000 young people each year through award-winning education outreach, artist training and access programs. For more information on the Paper Mill Playhouse Gala or to purchase individual tickets, tables or raffle tickets, please contact Leigh Schaedel at 973-315-1663, lschadel@papermill.org or visit Paper Mill Playhouse’s website, www.papermill.org. 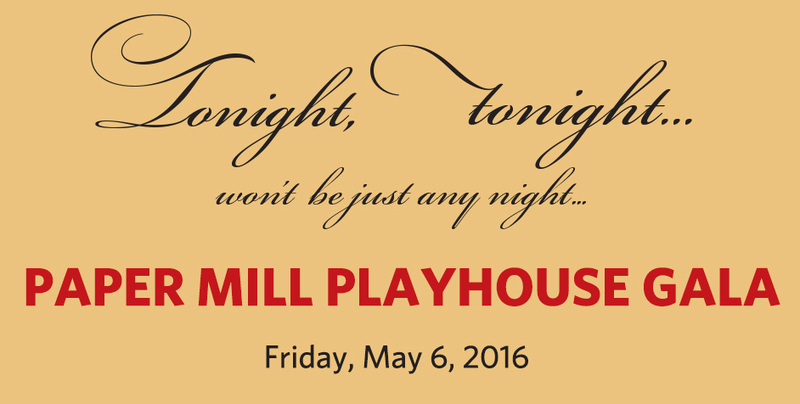 PAPER MILL PLAYHOUSE, a not-for-profit arts organization, is one of the country's leading regional theaters. Paper Mill Playhouse programs are made possible, in part, by funds from the New Jersey State Council on the Arts. 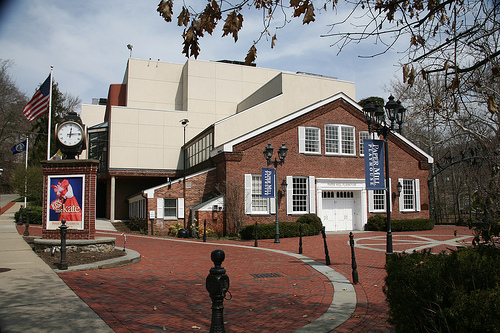 Paper Mill Playhouse is a member of the National Alliance for Musical Theatre, the Council of Stock Theatres, and the New Jersey Theatre Alliance.